I use the heck out of my iPad and carry it back and forth to work, court, plane trips, family gatherings, and just about everywhere else I go. As a result, I like to keep it in some sort of protective case. When I upgraded to my fancy new iPad Air, I had to leave my beloved and well-worn Dodo case behind. 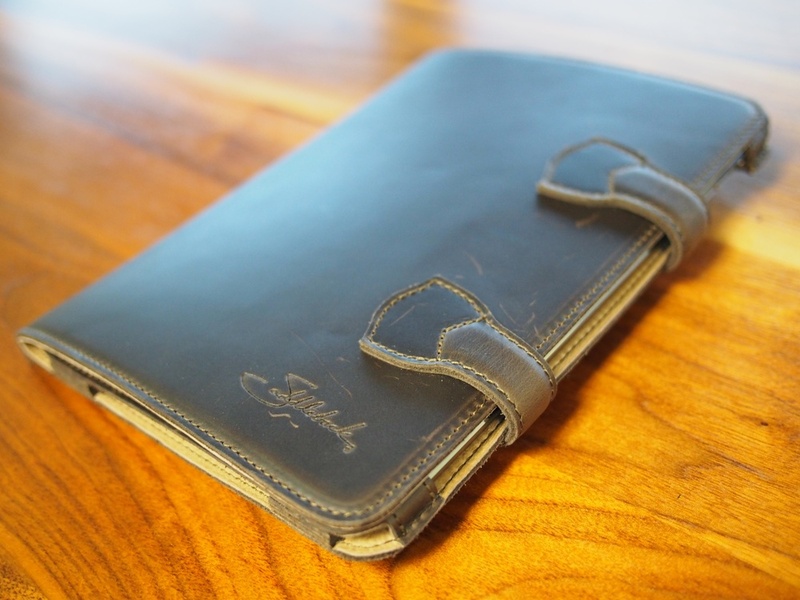 I wasn't sure where to go next with my new iPad when Saddleback Leather wrote and offered to loan me one of their new leather iPad cases. 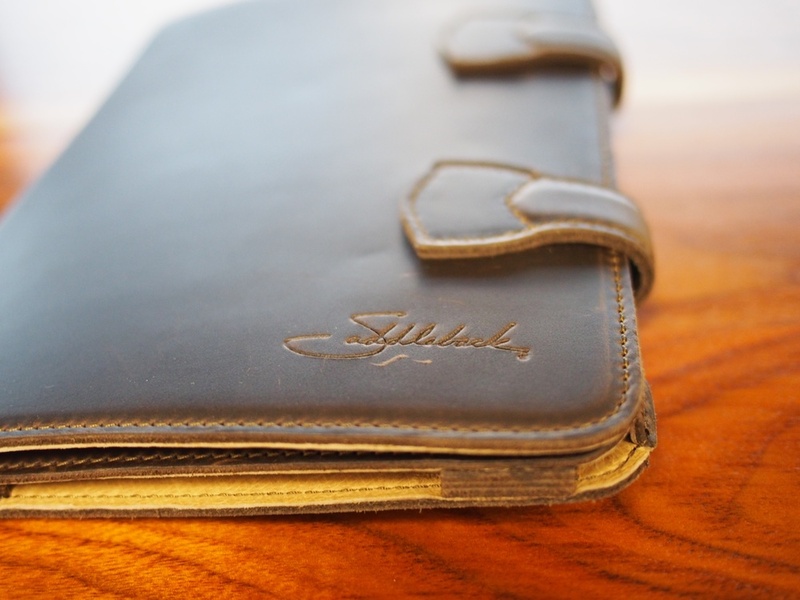 I've actually been a Saddleback leather customer for a few years now. I love their company motto, They'll fight over it when you're dead. I bought one of their wallets years ago (which I still use) and recently, when my decades old briefcase finally gave up the ghost, I ordered a Saddleback Briefcase to replace it. It is the best-made briefcase I've ever owned and makes me happy every time I look at it. The iPad Air fits in snugly and the whole case fits nicely in my briefcase. The final product looks great and I've received several compliments on it already. I'm really looking forward to watching the patina and texture of the case change as the leather ages a bit. The case secures with two lether straps (no breakable buckles or zippers) that fit into small leather loops sewn into the front. You can bend the front over and reconnect those traps into the loops from the back to give the iPad an angle for lap typing or prop it on a desk to watch a movie. 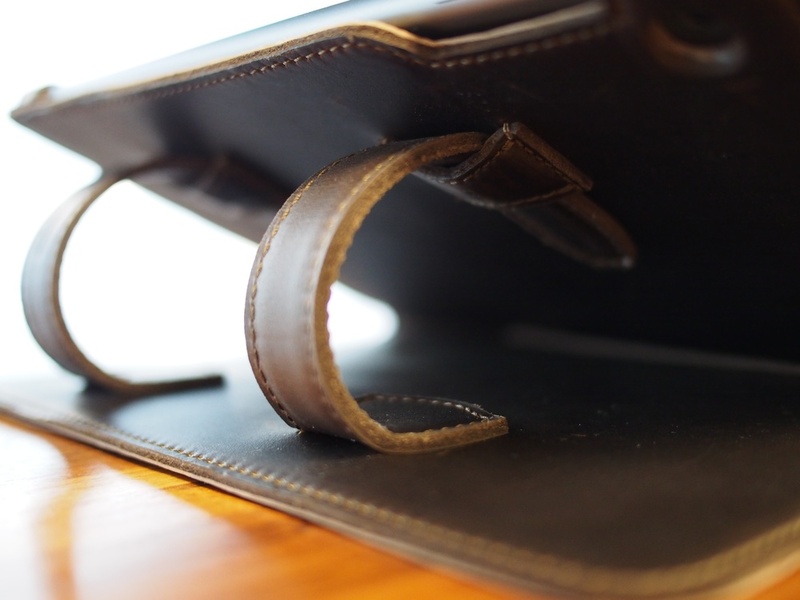 Overall it is a classy, simple design for a top notch leather case. The iPad Air version is not yet for sale but I'm told it will be soon. They already have versions for the earlier iPad and iPad mini. You can learn more at saddlebackleather.com.